New street parking signs have been branded ‘hideous’ and a waste of money by a group of angry residents. People living in St Christophers Close, Horsham, say they were given no warning that the new ‘controlled zone’ parking signs were to be erected near their homes. Ruth Dalton, who has lived in the area for 26 years, said: “The signs are huge, like the ones you see on main roads. “They are hideous and so unnecessary. She said that, previously, smaller signs had been placed on nearby lamp posts. “They could have left those signs instead of erecting these big ones,” she added. The residents are also concerned about the new signs - which adjoin nearby Richmond Road - adding to ‘street furniture’ in the area which, they fear, could be a hazard to disabled people. Resident Geoff Gough described the signs as ‘inappropriate’. The signs were installed by West Sussex County Council after it increased the number of controlled-zone parking bays in the area from six to 10. A council spokesperson said the signs were of a standard design. 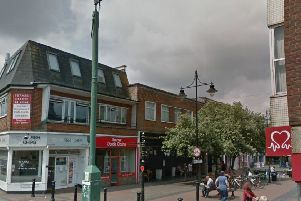 He added: “A Horsham Parking Review, with a public consultation, took place last year and comprised proposals to change the parking/waiting restrictions in a number of roads across the town. “The review aimed to improve safety, access and visibility, and increase the amount of parking available for residents. “Unfortunately, it is not always possible to letter-drop/inform every resident, especially when the changes involve a number of roads.